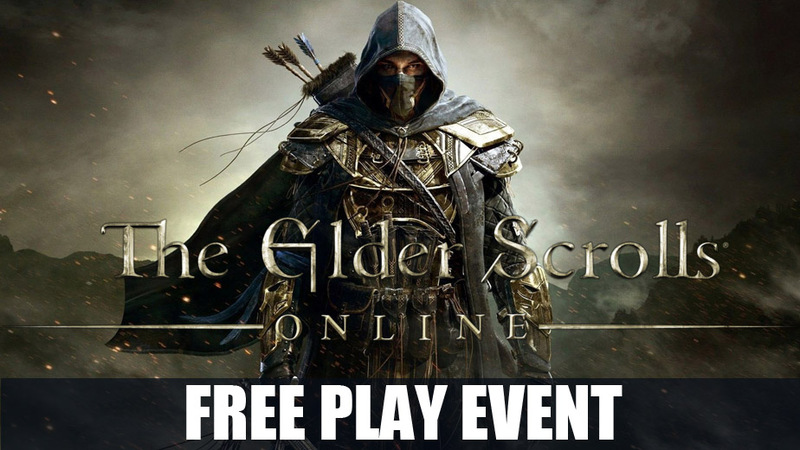 Elder Scrolls Online will be free to play from December 6th to December 11th. During this period, you can join millions of other adventurers in exploring Tamriel free on PlayStation 4, PC and XBox One, with no strings attached. But for PS4 players, they'll need PlayStation Plus membership to play, and for the XBox One players, they'll need XBox Live Gold membership. Step 1: Please go to the Free Play Page. Step 2: Please select your platform. Step 3: Download the right game version for your platform. Step 4: Finally, please enjoy your game by creating an ESO account! What's more, you can get access to ESO’s base game and Morrowind DLC during the Free Play Event, allowing you to explore a massive world filled with beauty and adventure as you fight to restore the demi-god Vivec’s lost powers and reclaim your stolen soul from the Daedric Prince Molag Bal. Besides, Elder Scroll Online's base game also contains access to Cyrodiil, a massive open-world PvP zone, and the Battlegrounds, a fast-paced 4v4v4 PvP arena. You'll be able to travel to Vvardenfell and experience the home of the Dark Elves during the event period even though you have already owned ESO but never had the chance to acquire the Morrowind DLC or Chapter. For all the new registered ESO accounts, they could receive 500 free crowns, which can be used in-game Crown Store, allowing you to get some useful items, for instance: XP Scrolls, consumables, or collectibles. With these items, you can earn more ESO gold, and the gold would help you to gain more items in return. And please do not worry, all the characters and progression you earned from previous trial events will be saved. And if you decide to buy this game after the event, you’ll be able to continue your adventures without interruption. The size of this game client is about 80GB, so please make sure that your machine has enough space for the download. The Elder Scrolls Online, a world full of various adventures, is waiting for you to discover. So if you are interested, why not go to our Free Play page and give it a try? You'll find the truth of joy in here.